Dantes Pizzeria is seriously the cutest pizza bar around! This place was originally recommended to me by my parents who always rave about their Regina Margherita pizza. I have been twice now and absolutely love it. The first time I dined at Dantes, the service was friendly and very welcoming, which I thoroughly enjoyed. Before we took our seats, we were showed how they cook their pizzas and we were able to take many photos of the pizza oven…what an amazing oven! No wonder the pizza crust is delicious! We ordered Chianti wine and a San Pellegrino drink. 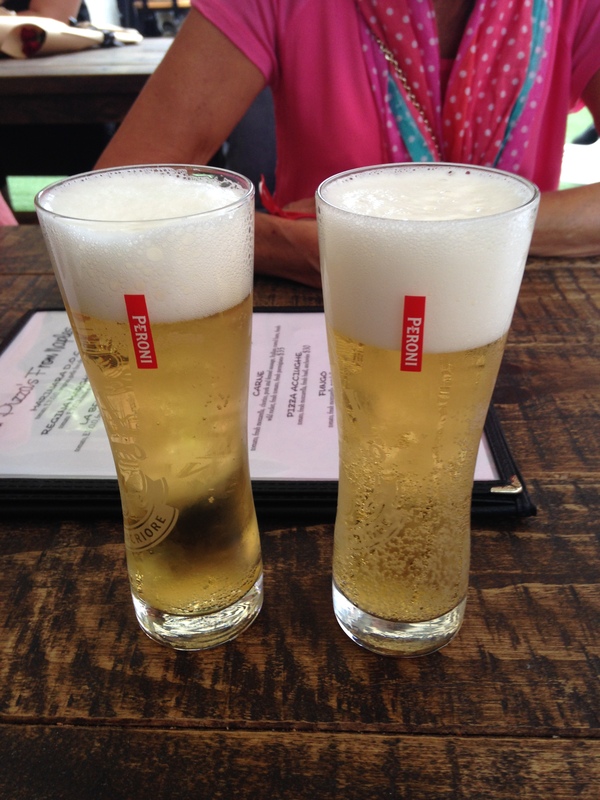 Both were delicious and perfect drinks to accompany pizza! We were torn between what pizza to order, because my parents swear by the Regina Margherita pizza ($24) with tomato, fresh buffalo mozzarella and basil. However, we wanted some meat on our pizza too. When we asked the waiter for advice, he told us that he would add chorizo to our pizza, free of charge. He also gave us some chorizo samples to taste. Delicious! So, out came the pizza. It did not take long and smelt heavenly. However, no chorizo! I asked the waiter if he was adding chorizo. He replied that he forgot, but immediately said he would make us a Chorizo Reale pizza (tomato, mozzarella and chorizo), free of charge because he got our order mixed up! Another pizza that would have cost us $24 was now going to be free. Two for the price of one! We were happy! 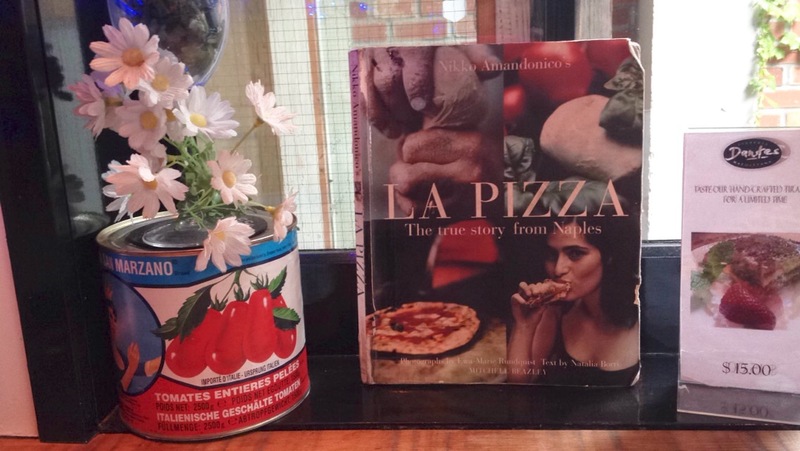 As for the pizzas, well, the fresh buffalo mozzarella was absolutely amazing. It was stringy and tasted delicious. I would happily order both pizzas again. 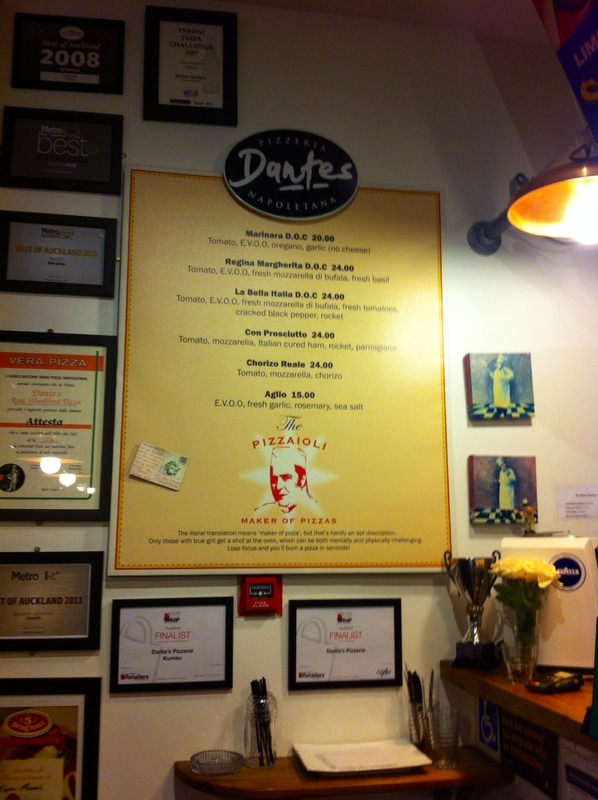 While there are few ingredients on the pizzas, Dantes uses good quality and fresh ingredients, which taste wonderful. They are truly cooked in Napoletana style. But, the best part about the pizza was the thin crust. Being cooked in a wood fired oven gave it a nice crisp base on the outside, but it was still chewy in the middle – perfect! 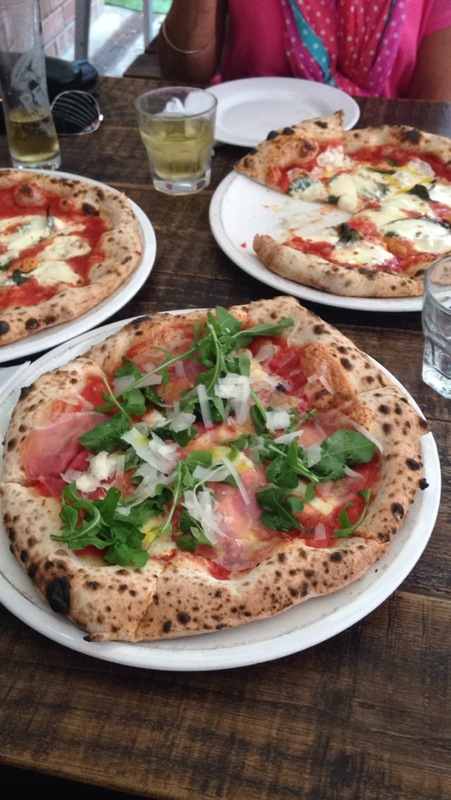 Dantes Pizzeria has been one of my favourite dining experiences in Ponsonby Central to date. I recommend coming here for a quick bite to eat or on the weekend for a casual family dinner. I cannot wait to go back! 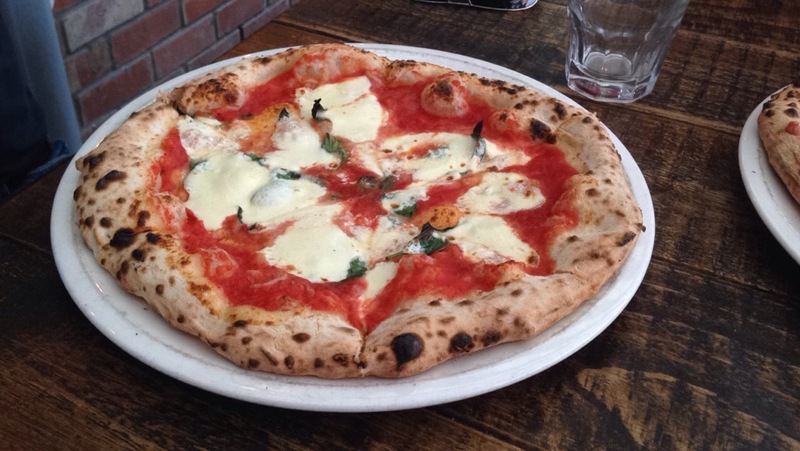 Recommended: Their margherita pizza is the best in Auckland! I have heard such good things about Dante’s pizza but still haven’t tried them. I will get there one day though! 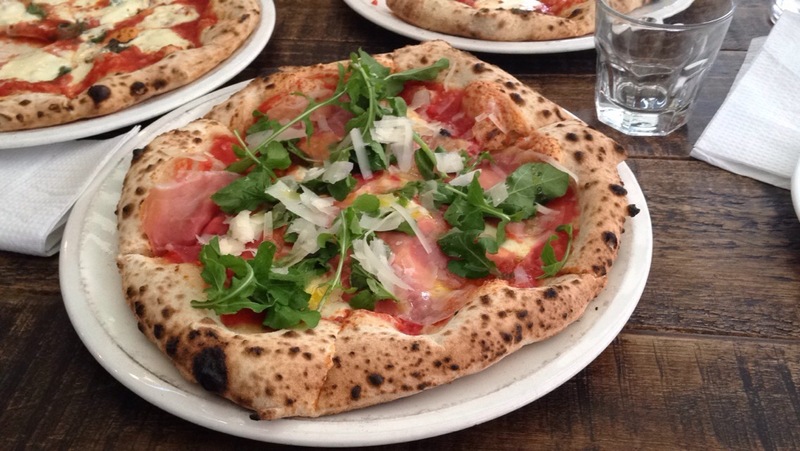 The photos you took of the pizza look divine!